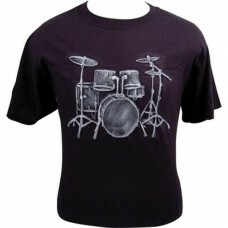 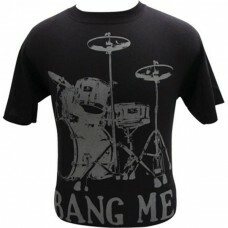 T-shirt for drummers, It is in black cotton with a gray drum set image and writing in the same color..
T-shirt in 100% black cotton with the words "Instruments of Rebellion" it's about guitars famous for..
T-shirt in black cotton picturing a beautiful piano with an evocative flavor. 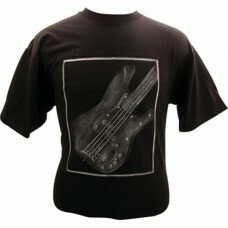 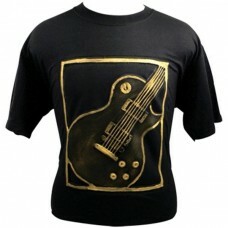 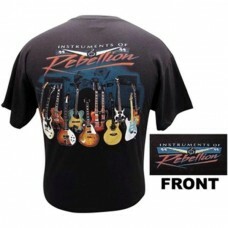 100% cotton..
Short sleeve t-shirt in 100% black cotton with a relief print by Les Paul electric guitar. 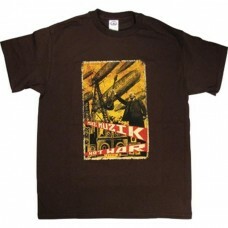 The print..
T-shirt with a beautiful image taken from the Russian Revolution, with Lenin holding a guitar in his..
Fender, Gretsch and Gibson, the great American heritage of Rock'n'Roll. 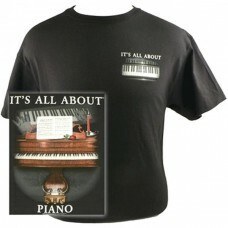 Guitars are in color on a bl..
T-shirt in 100% white cotton for pianists or keyboard players. 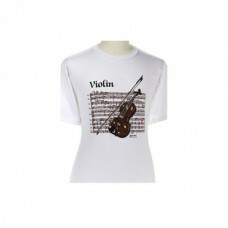 On the front has a score and a piano ..
White cotton t-shirt for violinists. 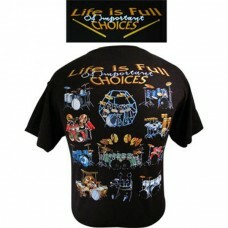 On the front is written Violin, a score and a violin in black a..
"Life is full of important choices" T-shirt. 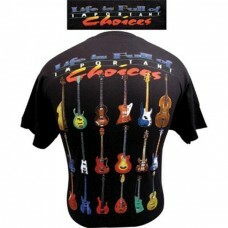 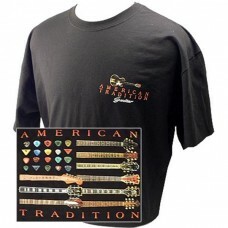 On the front, on the left there is the writing, while o..
T-shirt with all the most famous guitar brands rendered through the guitar necks and many and very c..